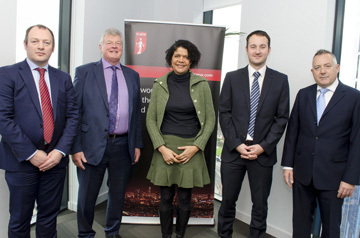 ICAEW launched their latest cyber security report at a special event jointly hosted by Northern Society of Chartered Accountants and the ICAEW IT Faculty. 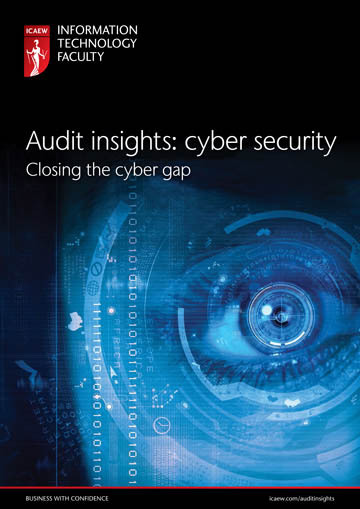 Audit Insights: Cyber Security focuses on the importance of closing the gap between cyber security strategy and business operations based on the observations and expertise of auditors from across industry. The Newcastle launch event at Newcastle University Business School featured a panel discussion chaired by David Arthur, Northern Society Deputy President which was then followed by a question and answer session. • David Arthur (Deputy President, Northern Society) discussed steps that businesses could take to protect themselves from cyber-attacks. Northern Society worked closely with the ICAEW IT Faculty to arrange the event which was well attended by local ICAEW members, businesses and other interested stakeholders. Companies are not recognising cyber security as a business risk is the key message from the new report from ICAEW. • a lack of clear accountability at board level for cyber security. The report also emphasises the importance, and difficulty, of gaining supply chain assurance. Auditors recommend significantly improving communication between IT specialists, management, board members and throughout the organisation. A key element of this is the role of the chief information security officer (CISO), who should translate the technical language into a more business-orientated one. David Arthur, Deputy President said: “The technology sector is one of the fastest growing and most exciting group of businesses in our region, but as the industry grows, so does the cyber-threat. “Recent surveys show evidence of high-profile breaches with continuing government concerns. As such, we see major growth in cyber-security as businesses act to protect their data and transform their approach to the increasing threat. Richard Anning, Head of IT Faculty at ICAEW said: ‘Auditors, after reviewing their clients approach to cyber security, believe that we can no longer brush it aside and treat it as a problem related to the IT function only. It is an issue that is critical to the operation, strategy and reputation of the entire business and that is how it should be treated. There have been many cyber security breaches in 2015 that have exposed weaknesses in IT systems and security practices. Recent high profile examples where customer details have been stolen include Ashley Madison and TalkTalk. As more and more companies move their operations to the virtual world (e.g. banks closing their branches and focusing on online banking) it is increasingly vital for organisations to remain vigilant on emerging threats. The report notes that business can see security as a compliance exercise and become complacent on reviewing and improving measures. Richard said: ‘As annual reports are increasingly focussing on non-financial information, boards are starting to ask auditors to review their cyber-security strategies and practices. This can give companies extra credibility, increasing investors’ confidence about the business. Most operations are now computerised, so it is no surprise shareholders want to ensure organisations can respond to emerging risks. Audit Insights: Cyber Security report was published on Friday 4 December, and examines the approaches companies and boards should take to ensure systems are secure, and to manage the impact of breaches. In this latest Audit Insights: Cyber Security report, we examine the approaches companies and boards should take to ensure systems are secure, and to manage the impact of breaches. In our report we assess how companies are trying to tackle the problem and make recommendations for preventing future security breaches while also highlighting areas where opportunities for positive change exist.